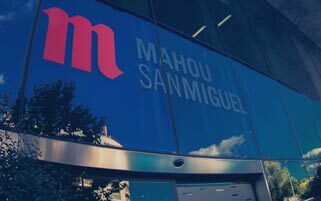 The Spanish Royal Golf Federation (RFEG) and Solán de Cabras have entered into a collaboration agreement for sponsorship of the Pro Spain Team programme by the mineral water brand, which belongs to Mahou San Miguel, a 100% Spanish company and a leader in the beer market in our country. This is an initiative promoted by the RFEG along with the regional federations to facilitate the transition of the best golfers from their amateur stage to the professional circuit. The programme represents a launching pad for young elite golfers in their first years on the professional circuit through financial assistance, training and logistical support. 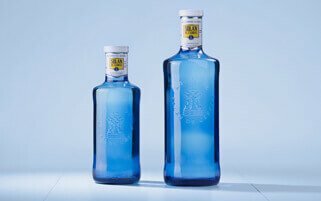 In addition, Solán de Cabras will promote their activities by covering them through diverse communication channels, particularly social media. The mineral water brand thus continues to support healthy lifestyle habits, sport and talent by joining a project aimed at fostering the development of promising young athletes. The athletes selected to participate in the initiative include young personalities in the world of golf who have racked up important victories in different European professional circuits while in the Pro Spain Team programme, besides earning the cards they need to move up to circuits in higher categories. Azahara Muñoz, Tania Elósegui, María Hernández, Jorge Campillo, Jordi García del Moral, Pedro Oriol, Moisés Cobo, Borja Etchart and Jesús Legarrea. María Hernández, Belén Mozo, Carlota Ciganda, Adriana Zwanck, Pedro Oriol, Borja Etchart, Jorge Campillo, Jordi García del Moral, Jesús Legarrea and Moisés Cobo, Jordi García Pinto, Iñigo Urquizu and Juan Antonio Bragulat. Belén Mozo, María Hernández, Carlota Ciganda, Adriana Zwanck, Mireia Prat, Jorge Campillo, Jordi García del Moral, Jordi García Pinto, Borja Etchart, Pedro Oriol, Jesús Legarrea, Antonio Hortal, Ignacio Elvira and Gerard Piris. Carlota Ciganda, Belén Mozo, María Hernández, Mireia Prat, Marta Silva, Jorge Campillo, Jordi García Pinto, Pedro Oriol, Ignacio Elvira, Antonio Hortal, Gerard Piris, Borja Etchart, Adrián Otaegui, Sebastián García Rodríguez and Carlos Pigem. Solán de Cabras continues the pink tide of “Gotas de Solidaridad” by supporting World Breast Cancer Day on 19 October.